There were lots of giggles and shouts of “behind you” emanating from Newcastle’s Civic Theatre on Monday afternoon. 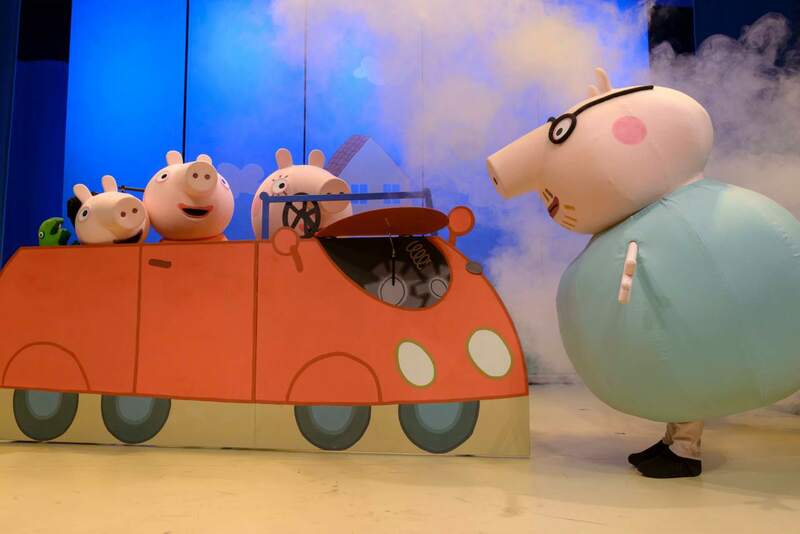 Peppa Pig, everyone’s favourite piglet, was on stage performing in her latest “live” show, Peppa Pig’s Surprise. Peppa and her family all made appearances, as did some of her beloved school friends Pedro Pony, Suzy Sheep and Danny Dog. Even Mr Potato wasn’t forgotten! 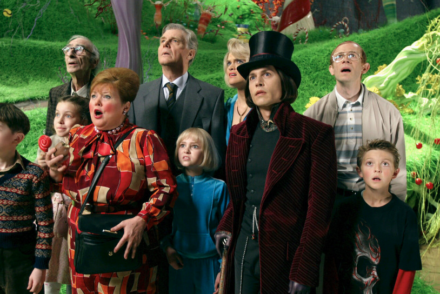 Each of the characters appeared on stage as life-sized puppets that danced, sang and played hide ‘n’ seek. The show followed the “day in the life” narrative of the cartoon series. The addition of pantomime, though, ensured audience participation was super high, which the crowd of mostly preschoolers and toddlers absolutely loved. Daisy, the narrator, interacted with the life-sized puppets and invited us along on Peppa Pig’s Surprise. 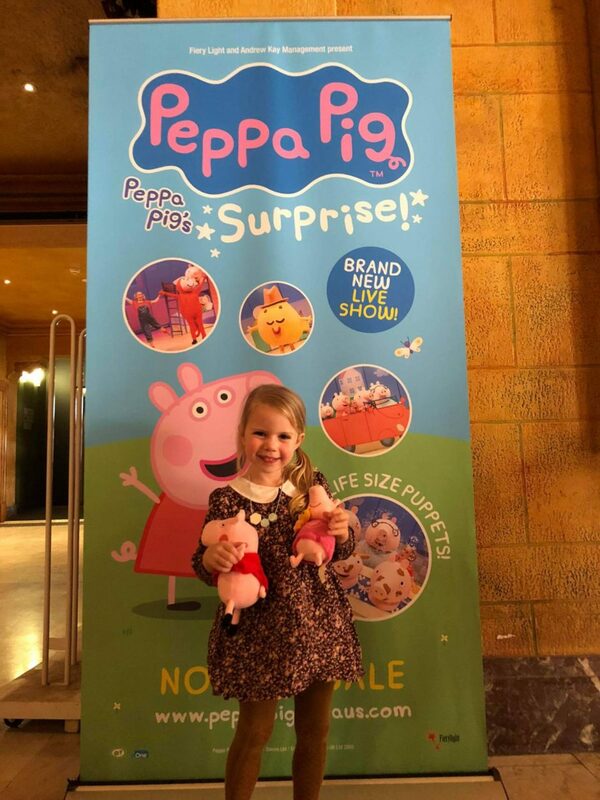 We started in Peppa’s garden where George started to cry, and his large tears sprayed across the front rows of seats, which elicited many giggles from little people. 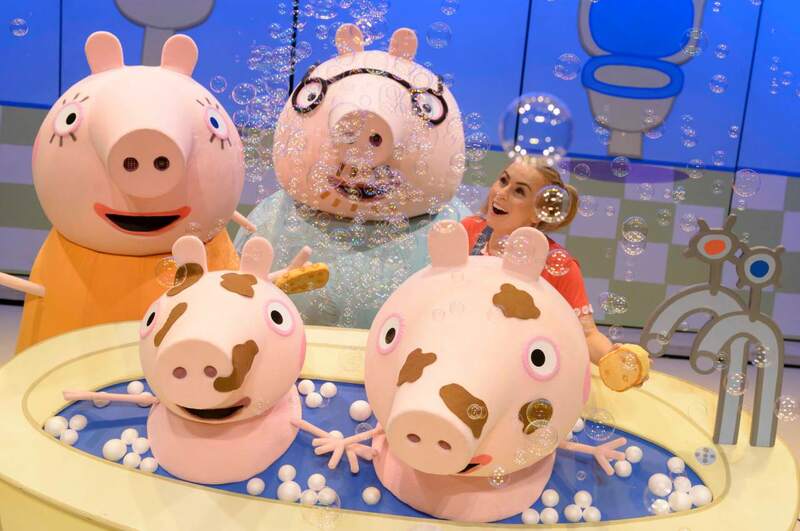 After a day of active playing it was time for Peppa and George to have a bath and this involved much bubble blowing and popping – both on stage and in the crowd. The scene changed again to show Peppa and George tucked up in their bunk ready for a bed-time story. The red monkey of the story appeared on stage – bringing the tale to life. The following morning it was time for Peppa’s surprise: the family were visiting the beach for the day. Mummy Pig, Daddy Pig, Peppa, George and Daisy all set off in their little red car to the beach. At the beach the characters explored the rock pools. The lights dimmed and glow-in-the-dark sea creatures appeared on the stage: crabs scampered, jellyfish danced and schools of fish swam by. 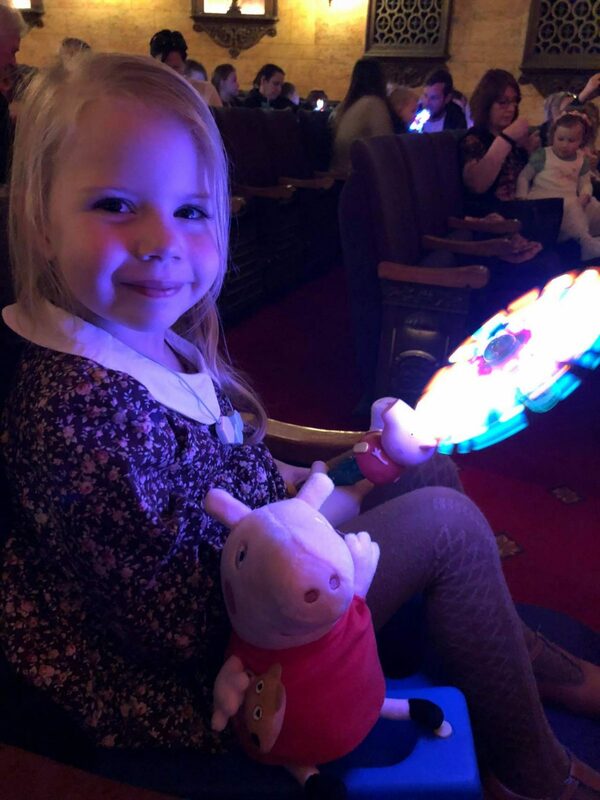 Playing in Puddles’ Peppa Pig competition winner Arwen enjoying the show. It was a delightful show and Playing in Puddles’ littlest reviewers loved it. 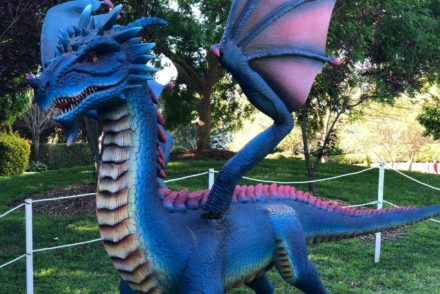 The show has now sadly completed its tour of Australia and has ventured to New Zealand. Want to know when they’ll be back with a new Peppa Pig show? Click here and they’ll send you a newsletter with future Australian tour dates. Want your child to experience a theatre performance? 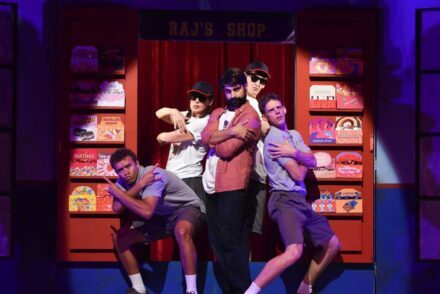 Click here to see what shows are coming soon to the Central Coast stage (plus some in Newcastle and Sydney too).
? 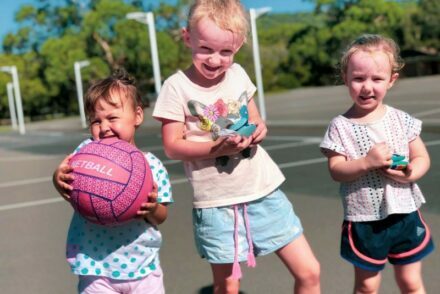 Thank you to Playing in Puddles’ Peppa Pig competition winners Taryn and Arwen for sharing your photos of your day with us. We’re thrilled you loved the show.
? Want to increase your chances of winning tickets to a local show. 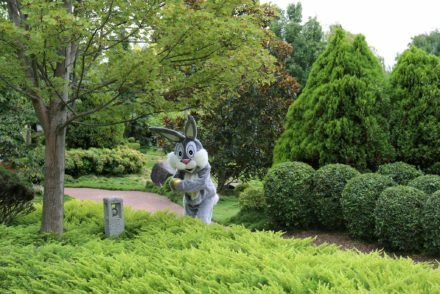 Subscribe to Playing in Puddles’ newsletter. We’re always giving away lots of tickets to our special subscribers.